Hot melt structural waterproofing is an inverted fully monolithic reinforced rubberised bitumen, poured directly on to the concrete deck and is designed for the lifetime of the building. This is used in such areas as Podiums, warm roofs, green roofs and ballasted using either river washed cobbles or paving slabs. The benefits of these systems are, lightweight, durable, robust, self-healing and the fast install times assist in quick programme times. 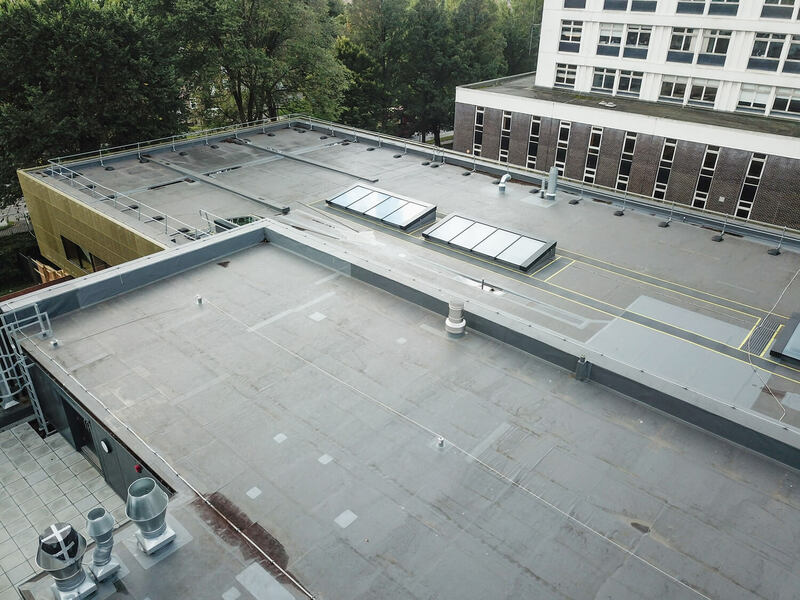 PVC single ply membranes are one of the most lightweight of roofing solutions and can be laid on most roofing substrates, these can be either mechanically fixed, fully bonded or weighted depending on the type of roof. We can offer a range of warranties with all our membranes from 10 to 25 years. 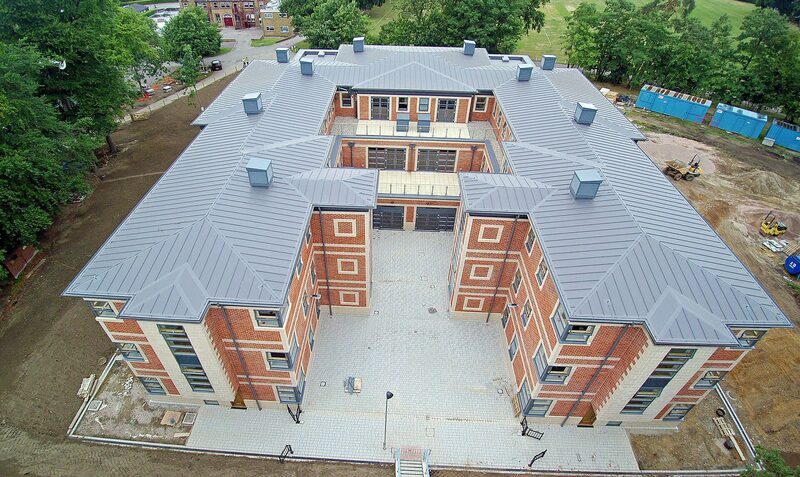 Standing seam profiles can be added to the field area to offer a traditional standing seam look. ICS offer a wide range of SBS (type of synthetic rubber additive) and APP (type of plastic additive) modified built up felt systems with various warranties. Bituminous systems have scientifically improved in recent years and they are now more robust and perform better than ever. Our systems can be laid in both warm or cold roof situations and can (if required) accommodate green roofs using an anti-root cap sheet. 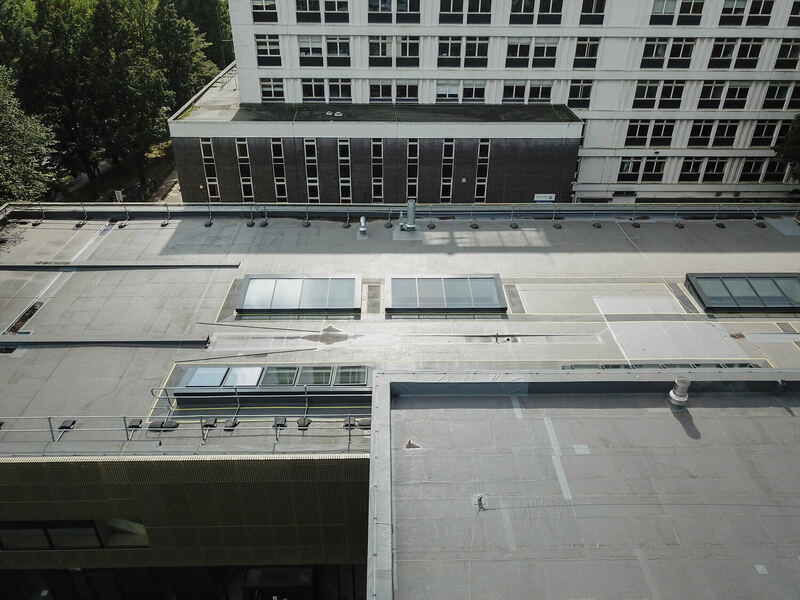 Cold applied liquid is simple to install and curing times can be controlled by adding catalyst powder to the tin, this makes them suitable for various applications such as, balconies, terrace, walkways and flat roofing. We offer both PUR and PMMA liquids which are wet on wet, seamless, completely reinforced and flame free.